Careful! 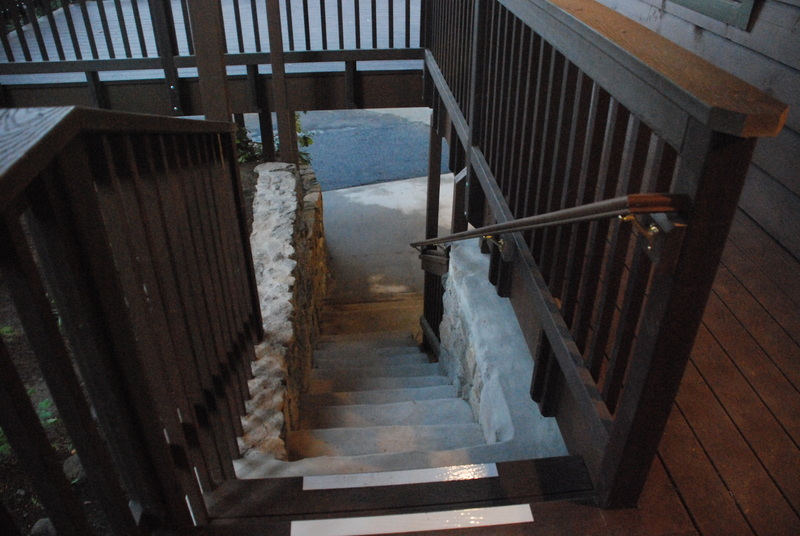 The steps are steep and narrow! 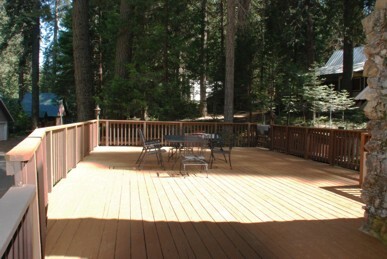 Yes, we have lots of deck space for you to enjoy! 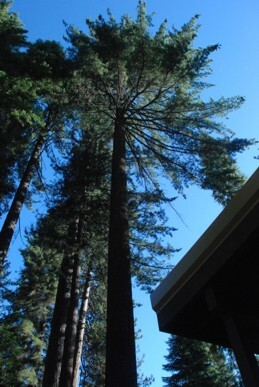 Watch out for falling pine cones! 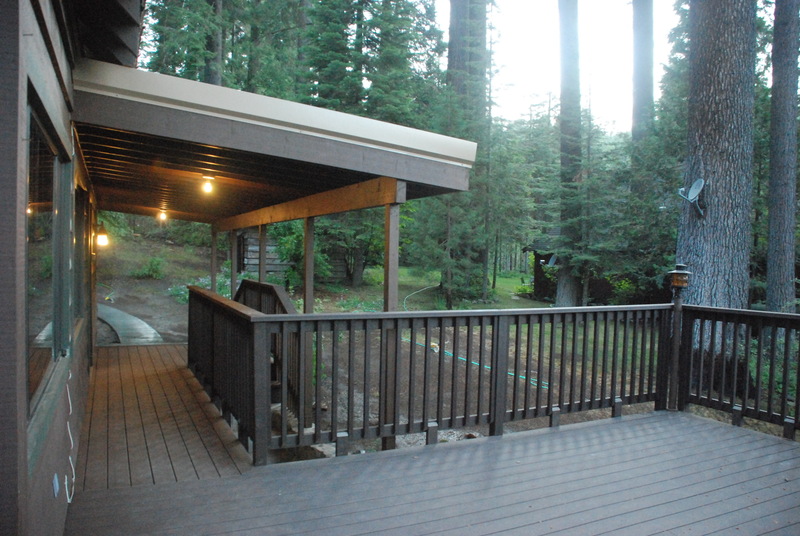 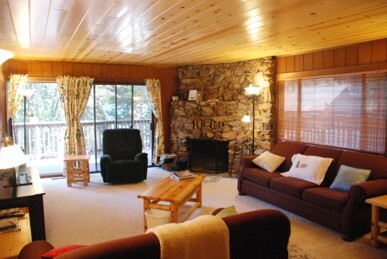 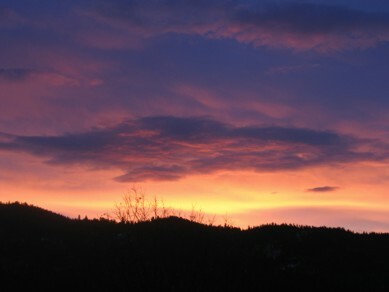 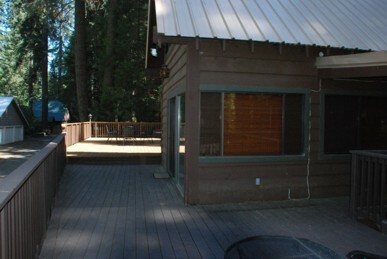 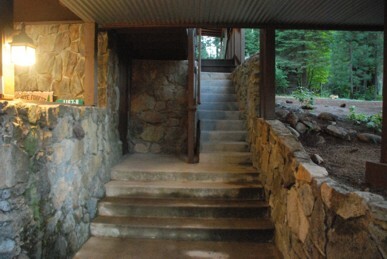 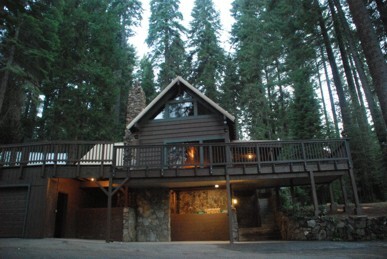 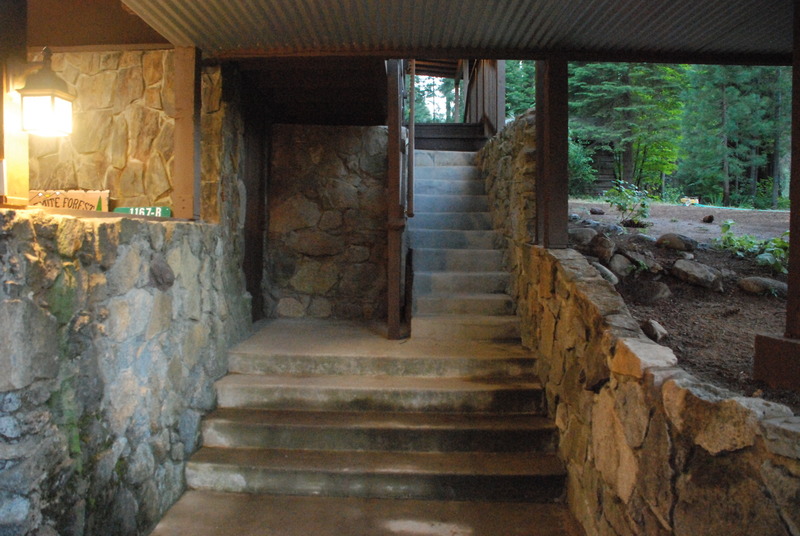 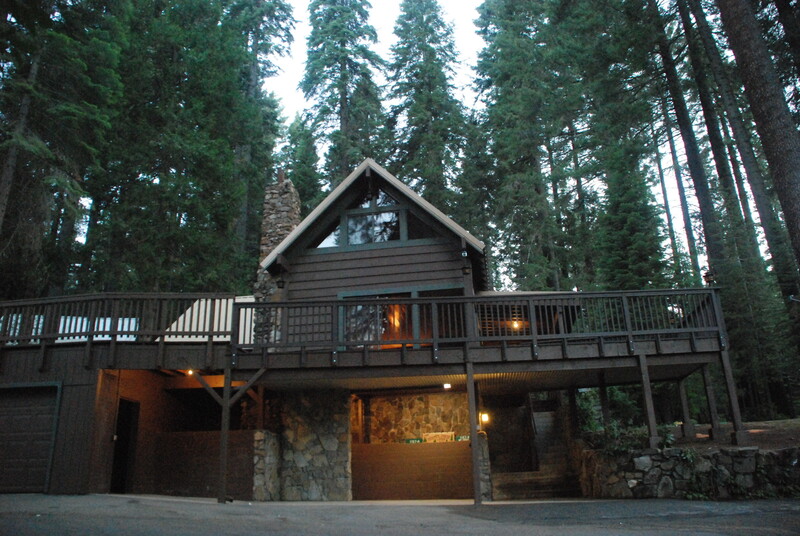 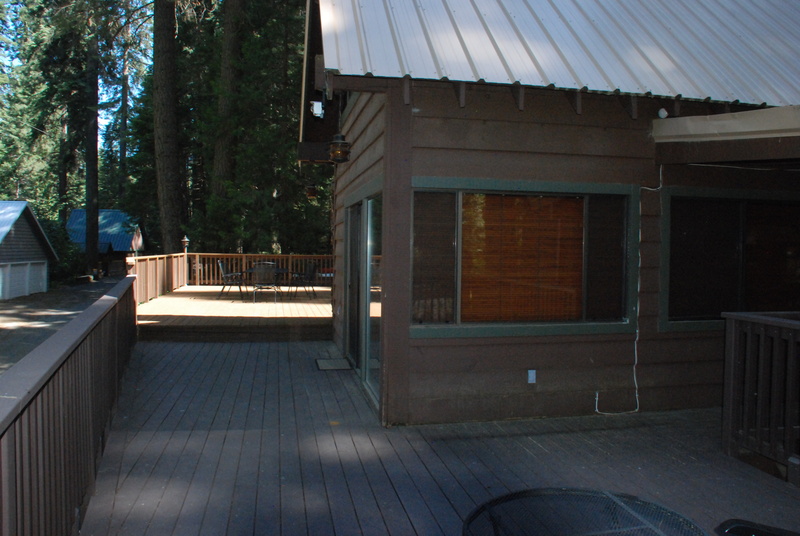 Our home is located in a mature pine forest just across the highway from the Tenaya Lodge. Even on the warmest summer days, up here there is nearly always a cool mountain breeze blowing and plenty of shade all day long. 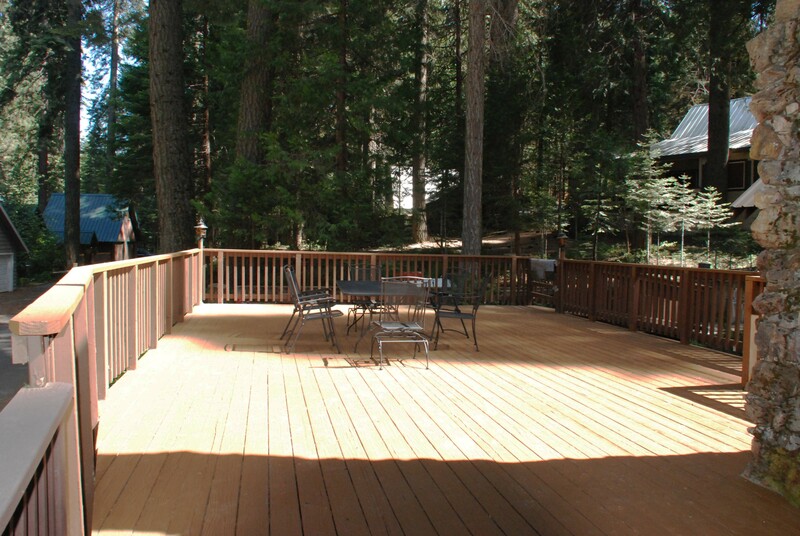 You can enjoy your lunch on our private deck and porch areas, surrounded by massive Sugar Pines more than a hundred feet tall. 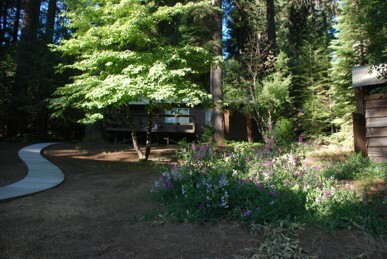 It's a great place to imagine what it was like to live and work in these hills as the loggers did more than a century ago! 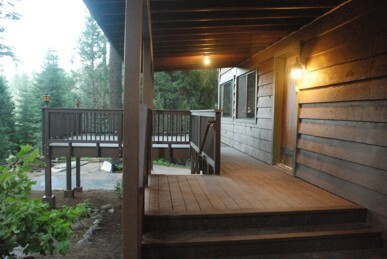 After dinner you can take a relaxing evening walk through the residential area. 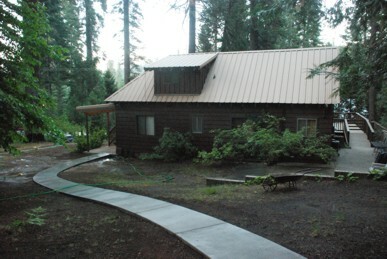 Then curl up with a book from our library, perhaps to learn more about the colorful history of the Yosemite area or maybe just to enjoy good stories with family and friends. 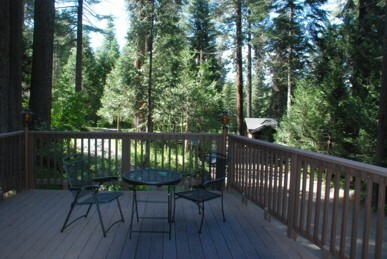 As many gigantic pine cones as you could ever want!